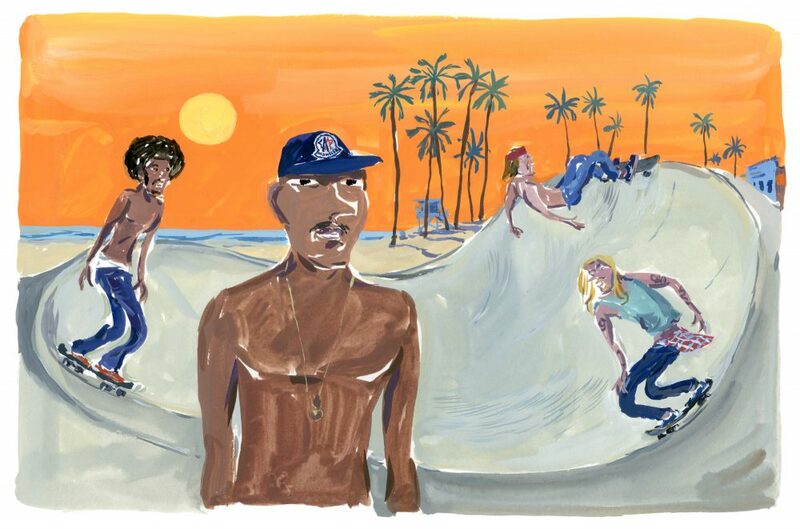 Expanding on a series of artist collaborations, Moncler has teamed up with French artist Jean-Philippe Delhomme for a sun-soaked journey to the world’s hottest, sleekest beaches to tell us the story of the Spring/Summer 2017 collection. 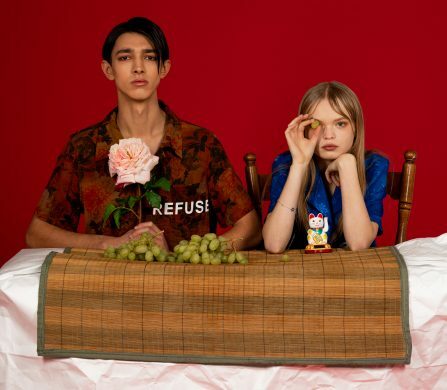 In an exclusive capsule collection, Delhomme’s summer narratives – taking the playful form of three postcard prints – are translated into Riviera-worthy pieces. 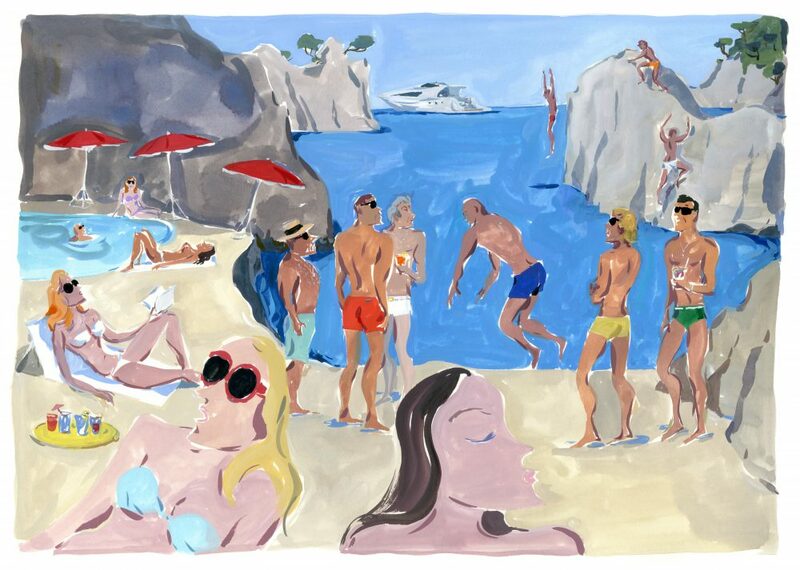 On the West Coast, we visit the baking sands of Venice Beach with his vivacious brush-strokes; in Italy, Moncler and Delhomme welcome us to the beauty of Positano and Capri. 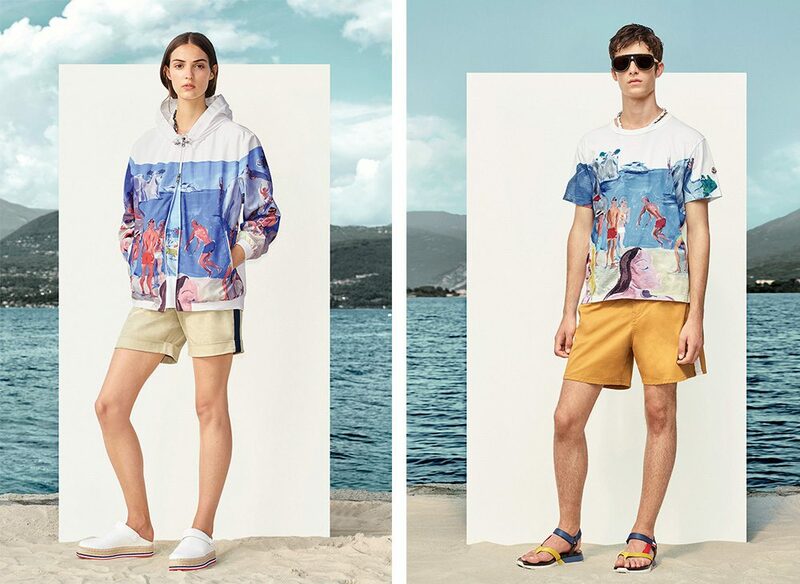 In line with the creative core of Moncler’s Spring/Summer collection, the colour palette takes on tones of sand, sun, marine blue, red and white. Delicate embellishments on Delhomme’s prints render a three-dimensional image of his work, as the pieces come to life in a vibrant palette. Colour is something of a speciality for Delhomme: as an artist who combines the titles of illustrator, painter and author, his signature works celebrate whimsical scenes with colour-infused depictions. 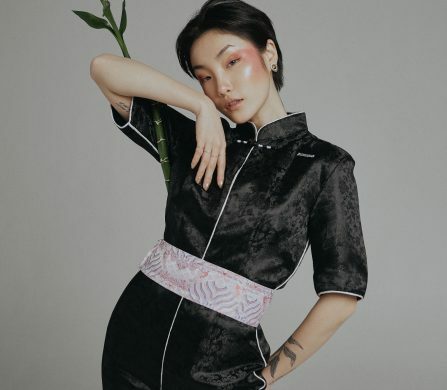 From his celebrated Paris Journal to the murals at the iconic Chez Castel in the French Capital, Delhomme brings classic images of French identity to a contemporary space, and has garnered him worldwide attention for the charm of his work. With shows at Colette, the Wright and Lucien Terras Galleries in New York and the Fashion Illustration Gallery in London, Delhomme’s reputation is anchored in the global image of city life. 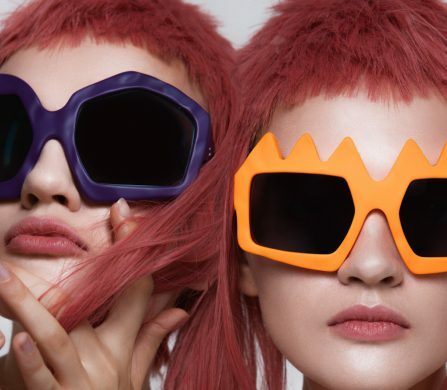 Now, with Moncler, the artist heads to coasts the world over for a sunny breath of fresh air: whether that be under LA’s palm trees, armed with boards, or in Europe, laden with towels, sunnies and a glass of cool white by the Mediterranean waves. 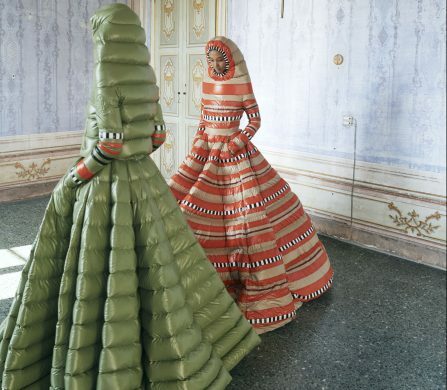 Just don’t forget the Moncler cap to keep the sun out! Discover the Postcards collection here.